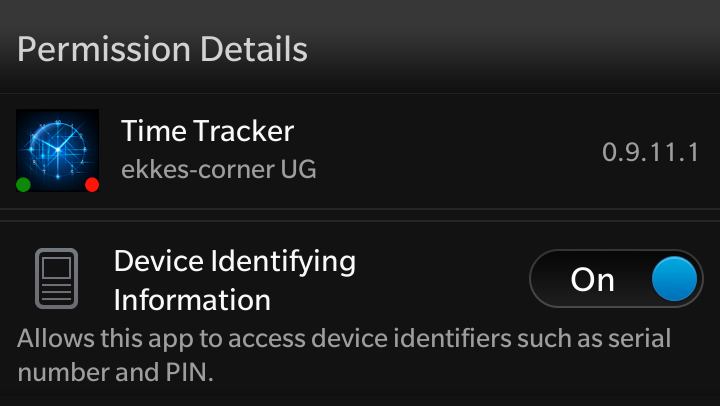 If you’re using the Personal Edition we don’t need your PIN – but if using the Group or Enterprise Edition the BlackBerry PIN is used as unique identifier to distinguish between devices.That’s the reason why TimeTracker needs the Permission ‘Device Identifying Information’. 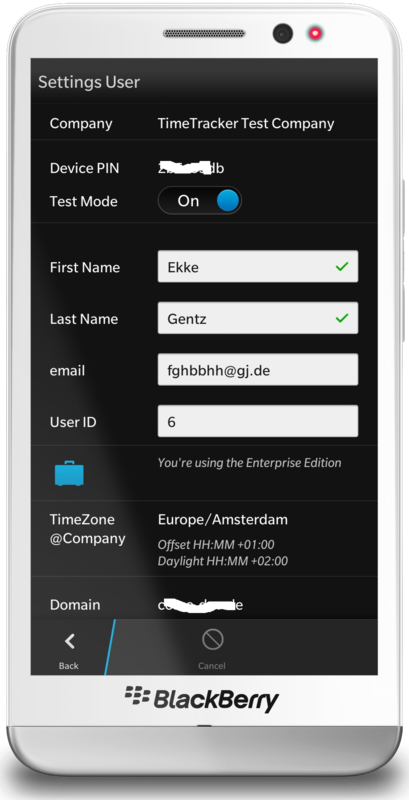 From User Settings you can also set the Home TimeZone, where the default is the current TimeZone from first start of the app. To change the TimeZone tap on the Action in ActionBar – then to select the TimeZone a list will be pushed on top. Learn more how TimeZones are used inside TimeTracker here. From Enterprise Edition your IT Admin configures your settings – so it may look different. On top you’ll find your company name. If testing the Enterprise Edition there’s a toggle. Enterprise testing is done from your BES10 accessing a TimeTracker Test Server at CoMo Solutions. At the bottom some informations to access the TimeTracker Server: Domain and URL are needed to construct the REST endpoints to upload your tracked data. 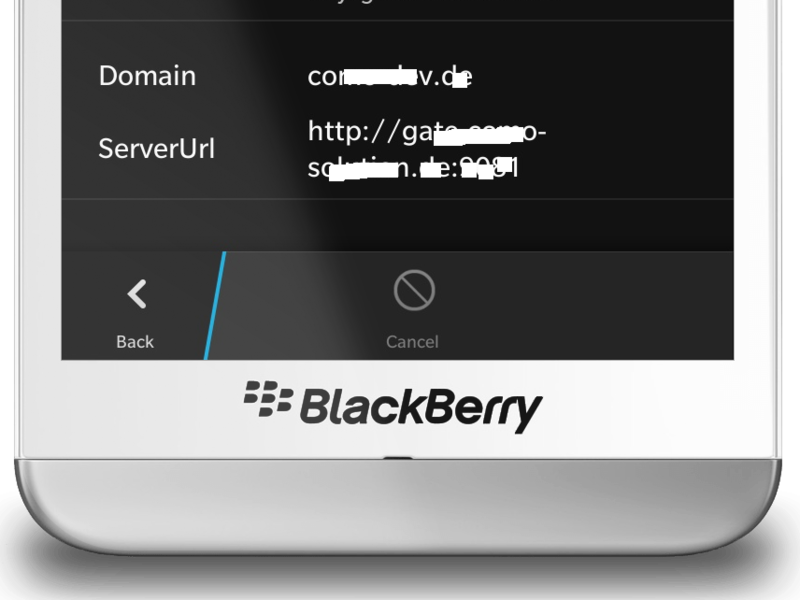 Hint: Testing TimeTracker Enterprise Edition is free. Posted on 2014/07/11 2014/08/25 by ekkescorner	This entry was posted in Settings Details, Uncategorized. Bookmark the permalink.